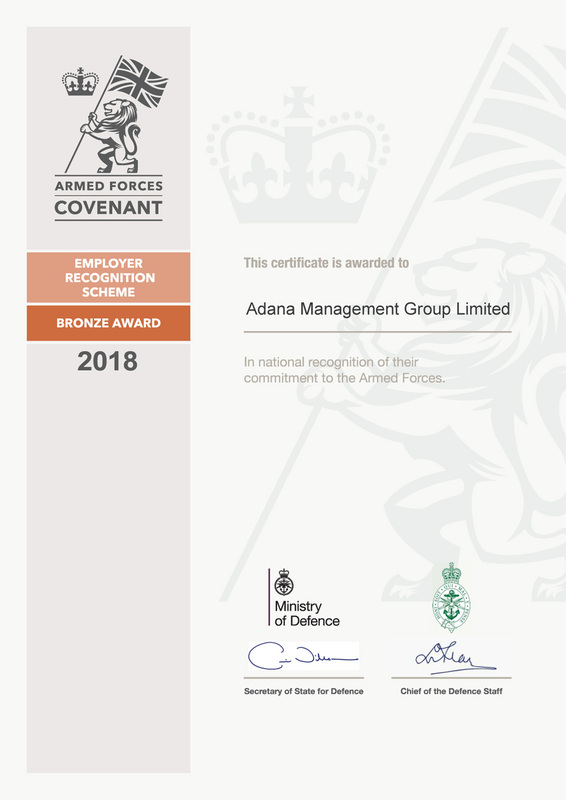 Adana Security is proud to announce that we have received the Armed Forces Covenant Employer Recognition Scheme Bronze Award. We recognise the value Serving Personnel, both Regular and Reservists, Veterans and military families contribute to our business and our country. • in some circumstances special treatment may be appropriate especially for the injured or bereaved. • offering a discount to members of the Armed Forces Community.